This statistic shows the results of a 2013 survey designed to measure the attitudes in England towards Scotland’s share of public spending. When asked "would you say that compared with other parts of the UK, Scotland gets pretty much its fair share of government spending, more than its fair share, or less than its fair share of government spending? 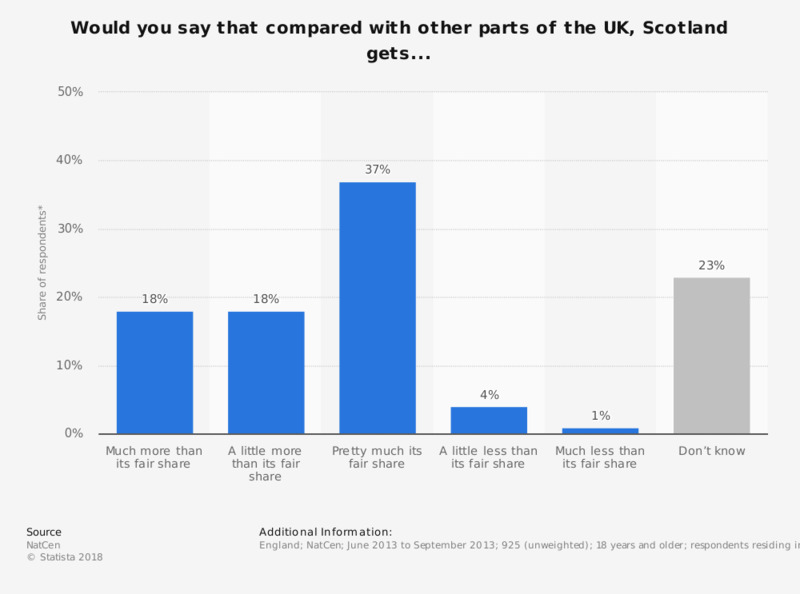 ", just over a third (36 per cent) thought Scotland gets more than its “fair share”. *Figures do not sum 100. This is probably due to the effects of rounding. How should the revenues raised through taxes on North sea oil be used? How should unemployment benefits in Scotland be funded? What do you think of the following measures included in the Stability Law for 2017?